We embarked on the LONG journey to Stonehenge from Northumberland last summer but I can 100% say that the torturous car journey was worth it. Although it was dull and raining during our visit, the whole trip was magical. From admiring the stones and learning about their history to walking around the Neolithic houses and finding out for ourselves how much force was needed to use to move the stones, Stonehenge is a destination in England that you simply must add to your bucket list and something we all still vividly remember now. Don't forget to escape the tourists and pop into Woodenhenge a few miles away too. Bolsover Castle in Derbyshire is located just off the M1 and a convenient place to stop as an alternative to a service station when you are passing by. The Castle is grand and imposing with ornate and luxurious furnishings and you can even play Kings and Queens and sit on one of the thrones. The kids loved walking around the castle walls and the views across the Derbyshire countryside really are superb. During our trip, children gathered around a storyteller under an old oak tree and then played in the fantastic play park which has been designed to be a replica of the castle itself. There is also a superb tea room serving treats and home cooked meals - the experience is a lot less stressful and much more fun than a service station that's for sure. Chesters Roman Fort is my favourite spot along Hadrian's Wall. There's lots to explore and discover from wall ruins to a Roman bath house and the grounds are wonderful to walk around. Chesters Roman Fort is one of those places where you really can feel history coming to life. There is an indoor museum to explore and learn more and a fantastic special events programme throughout the year too. The tearoom is worth popping into if you fancy a home-baked cake and traditional lemonade or there are plenty of picnic tables and spots over looking the river if you fancy making a day of it. Ting from My Travel Monkey looks back at her top three favourite National Trust's sites in the South East of England, which not only combine majestic historic houses, but breathtaking gardens and landscapes. Fantastic day outs for the whole family. Jane from Practically Perfect Mums shows off three fabulously family friendly places to stay in the South West of England and they're all spacious enough to accommodate a family of five! 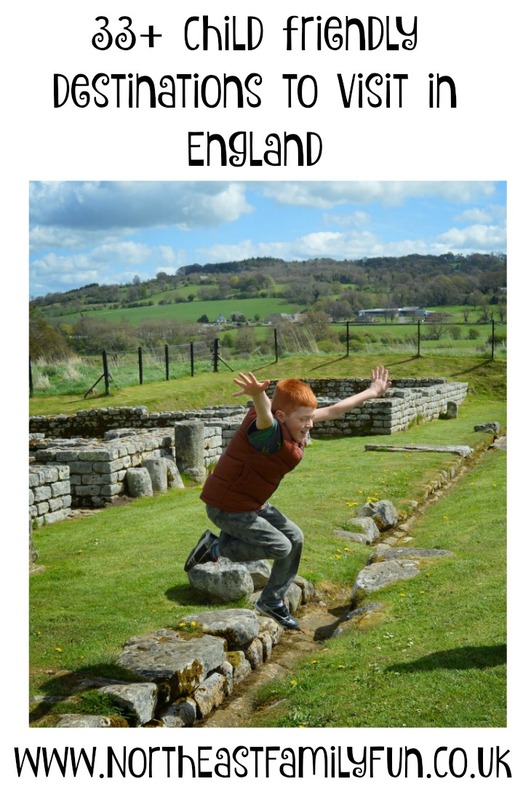 Erin from Yorkshire Tots shares three family adventure trails in Yorkshire where you can follow in the 'footsteps' of Stickman, re-tell the story of the Room on the Broom, and enjoy tunnels slides, bridges and beams on an amazing welly walk. Alison, Helen, Penny and Katie pick three of their favourite cool places to take kids, glamp at the zoo, hire a beach hut or be an outlaw in Sherwood Forest. I love this so much Sam, so iconic - how fab is that pic of your two at Stonehenge! Bolsover is so near us, we must go back, I only remember going with a toddler who was having a running off phase! 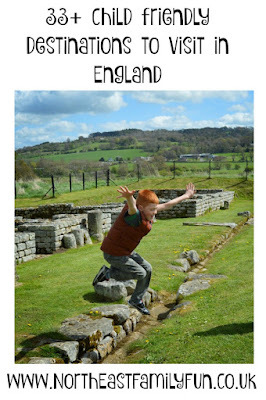 And Hadrian's wall reminds me of a holiday I had as a kid, and of how much mine would love a bit of this history too. I haven't been to Hadrian's Wall or Bolster that I recall but sounds like they're worth a visit. Stonehenge is quite close to us so thanks for the nudge - I'd like to take the boys there. We have an English heritage membership and we haven't taken the kids to any of these places yet. Great suggestions - I think they would love them all! I love Stonehenge - always so fascinating, and such a cool shot of your two. And Hadrian's Wall is on my bucket list too, I've always wanted to visit and just not got that far. Love stopping at castles or National Trust properties etc to break long journeys as well - SO much better than a dreary depressing service station (and better cake)! Can't believe I still haven't been to Stonehenge or Hadrian's Wall! Love the idea of stopping somewhere interesting on a long journey rather than a service station. As a child, before the M1 was finished, we used to take a 6 hour drive to visit my grandparents. A highlight of the trip was stopping for a ploughman's lunch at our favourite pub! I'll have to make a note of Bolsover for our next trip in that direction.